Nintendo itself could not have crafted such a loving and functionally perfect tribute to the original Nintendo Entertainment System as Analogue’s Nt Mini – and in fact thanks to the NES Classic, we know that it hasn’t. 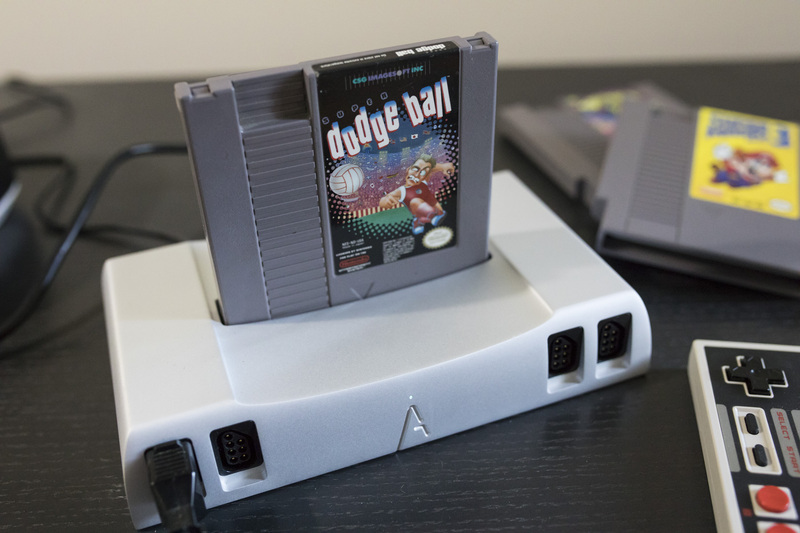 The Analogue Nt Mini is the NES console you’d create in your imagination if you were dreaming one up today, without concern for cost and with a focus on most perfectly recreating the Nintendo experience, but with support for modern TV hardware. I’m lucky enough to have scored an NES Classic, despite the general lack of supply and continued sellouts, and yet during my time testing out the Analogue Nt Mini over the past couple of weeks, I can’t think of a time that I wanted to fire up Nintendo’s tiny console instead. The two devices hardly occupy the same market space – Nintendo’s console is $60 with bundled games, while Analogue’s offering is a $450 appeal to the connoisseur, without any games available unless you own some good old-fashioned plastic NES cartridges. But both trigger the same feelings of nostalgia for fans of the OG NES, and if that’s truly what you’re after, there’s no comparison: Analogue’s version is the one to get. That’s because while the NES Classic reminds you of how much fun you used to have playing your old console games, the Nt Mini literally transports you to that head space, thanks to a generally more faithful recreation of the original NES experience. That’s because the hardware it uses is actually “reference quality,” engineered from internals sourced from actually Famicom systems and an Altera Cyclone V FPGA (which you can peek at through the transparent system base) that provides total compatibility with any Famicom, NES or Famicom Disk System game, plus their hardware accessories (including the Zapper, though you’ll need to dig up a CRT to make that work properly). 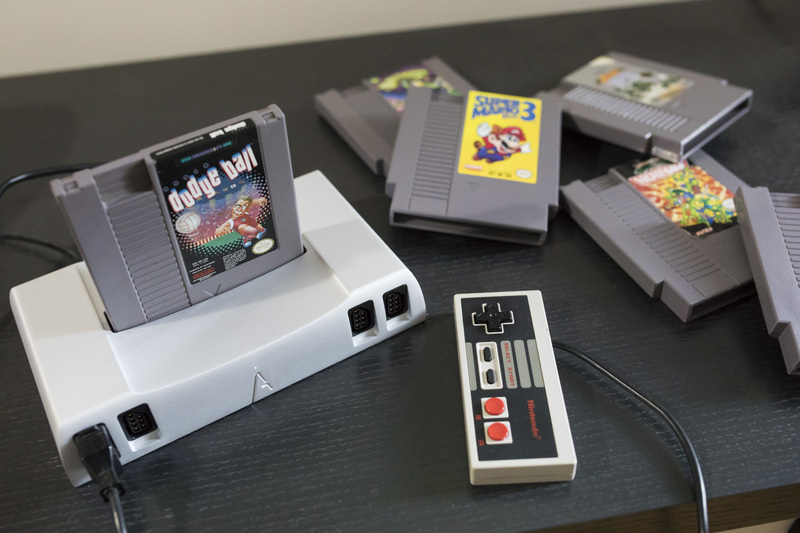 The Nt Mini is not using emulation to provide your NES gaming experience, the way those inexpensive modern consoles from Retros and others do – it’s playing the games exactly as they were intended to be played, without the lag induced software trickery, which is present even on the NES classic. Sound, too is great, and will bring you right back to your youth whether output through TV speakers or a home theater surround system, like the one I was using during testing. Of course, there’s no accounting for taste, so you have to already enjoy that 8-bit audio appeal, but the Nt Mini delivers it in better-than-memory accuracy. You can also tweak channels and a range of other settings in the advanced audio menu, and the NFS player built into the system software lets you play NES sound files from an SD card inserted into the console. 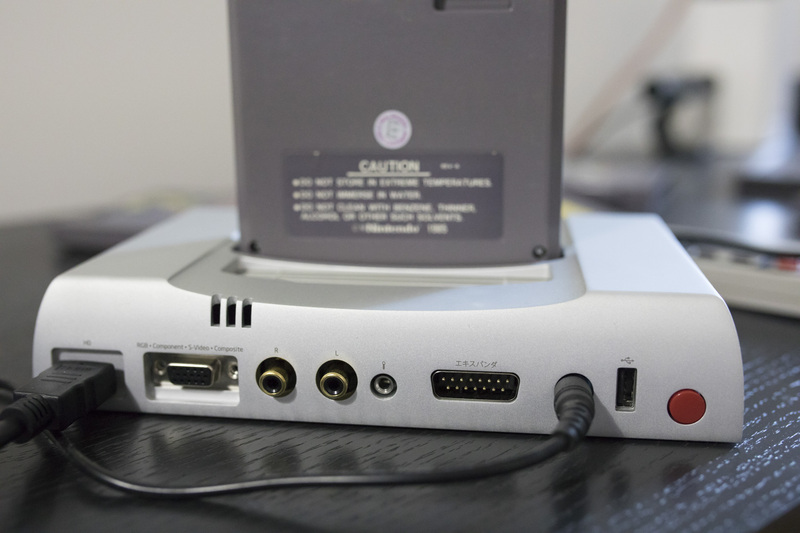 The Nt Mini has a solid aluminum shell, which feels incredibly well-built, and is similar to the shell used on its larger predecessor, the original Analogue Nt. The Mini takes up far less space, as its name implies, and still offers the same great features. There are also four controller ports that work with actual NES original controllers, and that can even replicate the functions of the Four Score, the original NES four-player adapter. In the box, there’s a wireless Retro Receiver and NES controller from 8bitdo, but I spent most of my time playing with original wired controllers for that true throwback feel. I used the Mini with a wide range of games, hand-picked because of how great they were and continue to be, including Super Mario Bros. 3, Teenage Mutant Ninja Turtles II: The Arcade Game, Adventure Island, Jackal, Super Dodge Ball, and Battletoads. Each game worked perfectly on the console, and looked terrific hooked up to my 1080p BenQ home theater projector. More importantly though, I had more fun playing these games than I would’ve thought possible, and certainly more fun than I’ve had playing any number of recent blockbuster AAA releases. The Nt Mini is obviously not for everyone, given its high price tag, but you’d be surprised at how easy it is to justify the cost given the obvious care and attention put into both the console’s industrial design and its hardware and software engineering. There’s also a “jailbreak” for the Nt Mini that makes it compatible with ROMs, if you’re interested in going down that road, and it actually has the support of Analogue itself, so if your interests extend beyond the NES there are options available with the hardware, too. But at its core the Nt Mini is better suited to true fans who want to bring their love of NES along for the ride into more modern home theater setups, and it threads that needle perfectly.